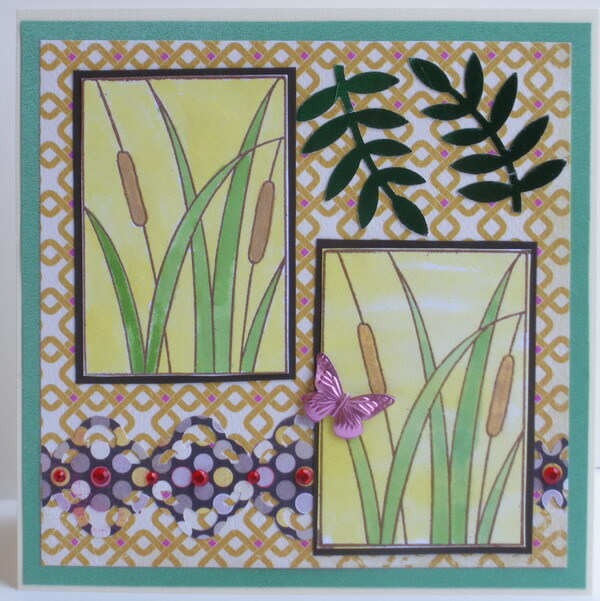 I used two stamped and colored cat willows for my card. Both were matted to dark brown card stock. To accommodate both stamped images I used a 5 1/2 x 5 1/2 inch sized card. I used some very lovely Authentique papers (collections listed below). I punched a border for the bottom of my card and decorated it with red crystals. I punched a leafy vine out of green foiled cardstock and used that as decoration at the top of my card. I added a butterfly as a final touch. This stamp would look good cropped to a square and tiled on a card also! 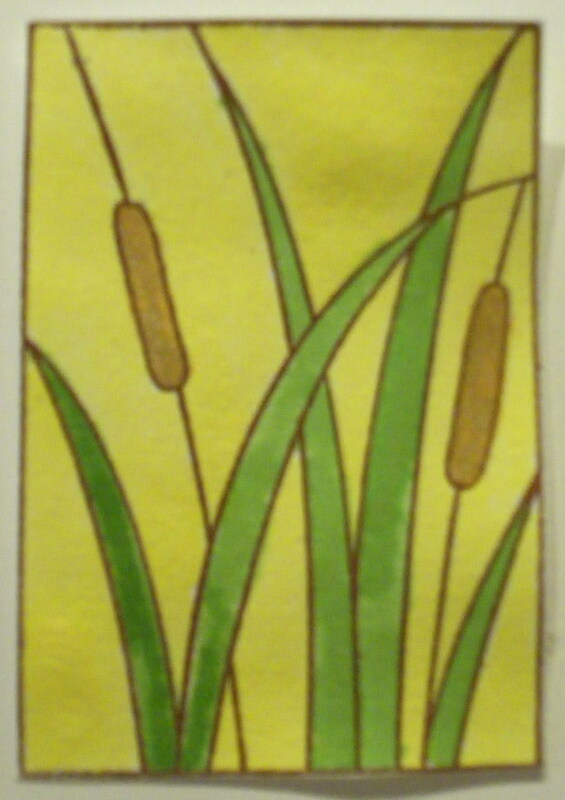 I love this Cat Tails Stained Glass stamp. It reminds me of when I was a child and my sister and I looked for cat tails (or cat willows as we used to call them). 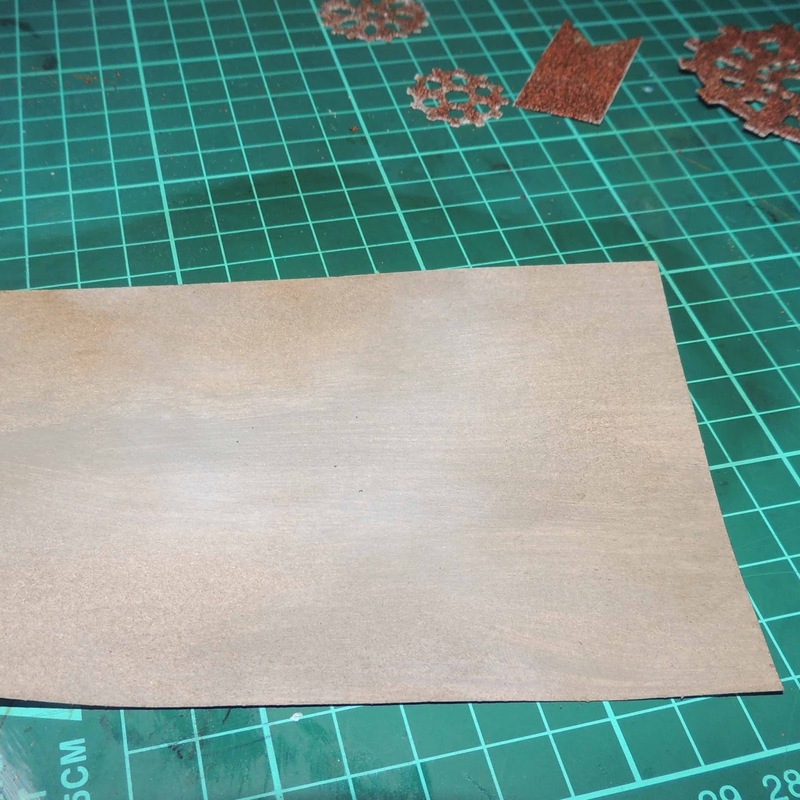 To begin, I stamped on white card stock and embossed in copper. I decided to do a watercolor technique and paint my colors in rather than color them in with my Distress Markers. To do this, I used Distress Stains. I placed the colors on my craft mat and picked them up with a small paint brush. See below for the colors I used. Although this stamp is simple, wait until you see the card I made with it! Buyer beware ….. You could be buying stolen property on online auction sites! Remember back in November when we were hit with 7 large fraudulent orders (purchases made with stolen credit cards)? We were never able to get any police or other authorities to help us track down the thieves…. And we lost over $6,500. I thought this sort of thing was behind us. I was wrong. Last week, it happened again. We received 3 orders on back-to-back days for large die cut machines. Each order was for 1 machine, ordered from 1 address, shipping to another. On the 3rd one, my little heebie-jeebies started flaring up. I should have caught it on the first one. I contacted our credit card processor and gave them the info, and sure enough, there is a 99.99% probability they are fraud. Let me rephrase that, one of the orders is 100% fraud, and I found out with a little bit of internet sleuthing. The story goes like this. 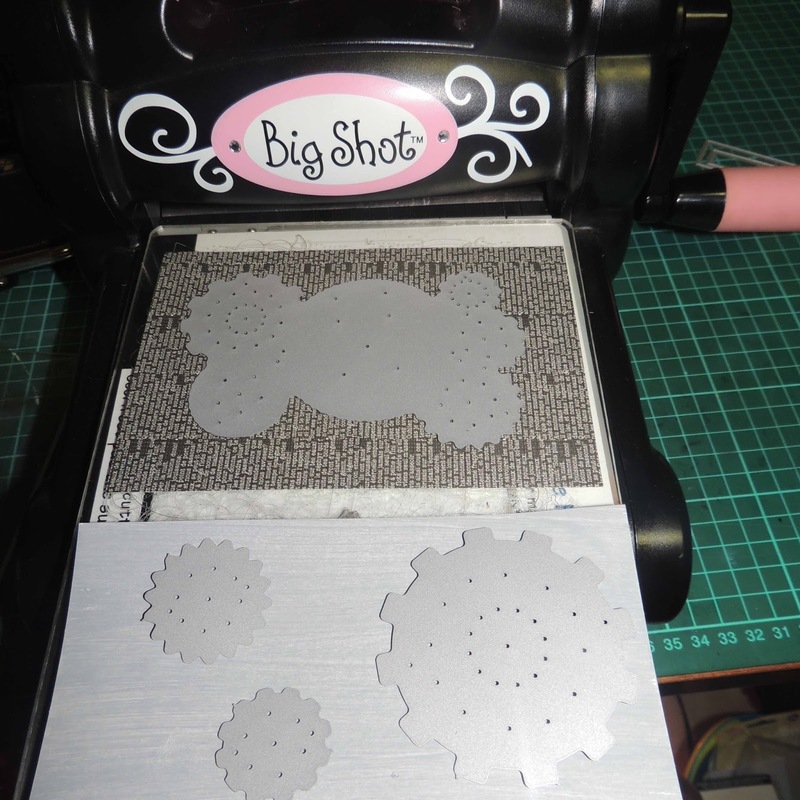 An order came in last week for a Sizzix Big Shot Pro machine, purchased by someone in North Carolina and shipping to another person in Illinois. I *should* have known better….. but we shipped it. Yesterday morning, as we are discussing (ok, fuming) the thieves being at it again with fraudulent orders, I exclaimed “I bet you anything that Big Shot Pro is on ebay right now”. Acting on this, I searched ebay, and sure enough, I found a seller selling a Big Shot Pro for $100 less than our price with the location listed as the SAME small town in Illinois where I shipped ours. The name of the seller was also the same as the recipient of the machine. Too many coincidences. I contacted Paypal right away and they did some research. Turns out, the guy selling is a “broker” whose business it is to sell items for other people for a 30% commission. He’s been an ebayer with a HIGH approval rating since 2002. Paypal immediately took his side telling me he’s not the crook. OK, then, why is he selling my machine!! The 2nd fraud order from last week is an Ebosser. I can’t find it on Ebay (yet), but I see a lot of brand new Ebossers selling on Ebay for cheap too….. wouldn’t surprise me if some of those were stolen in a similar manner. I've been having a lot of fun working with suede paper lately. It's a beautiful paper that actually has a very soft tactile feel - like suede. It comes in some beautiful colors too! 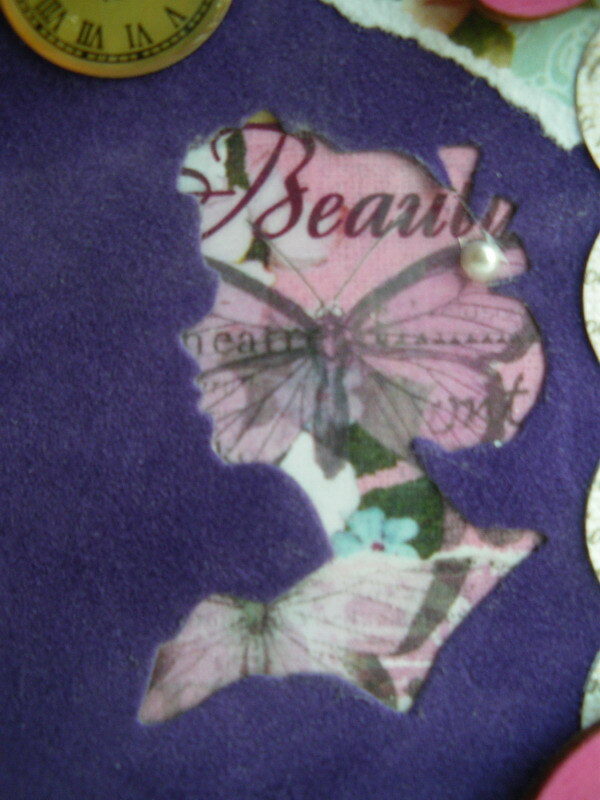 I started with a Sizzix TIme Holtz die for my tag and used the movers and shapers to add a cut out of a Victorian lady cameo (also Sizzix). 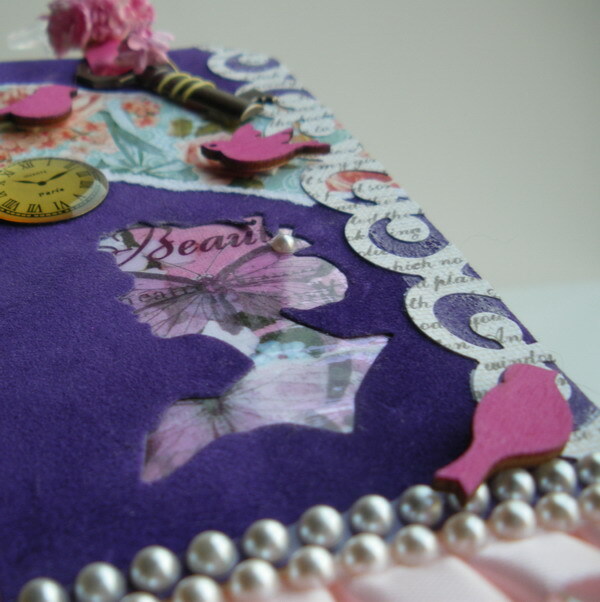 My tag base is ivory cardstock and the entire front is covered in violet suede paper with the cameo cut out. Following are close ups of the tag in sections with comments. I used stick pins at the top. It makes the tag a little longer but I thought it needed something. What better to go with a Victorian cameo than stick pins! I had a little brass key that I looped the ribbon through. I also wrapped a single paper flower around the key. 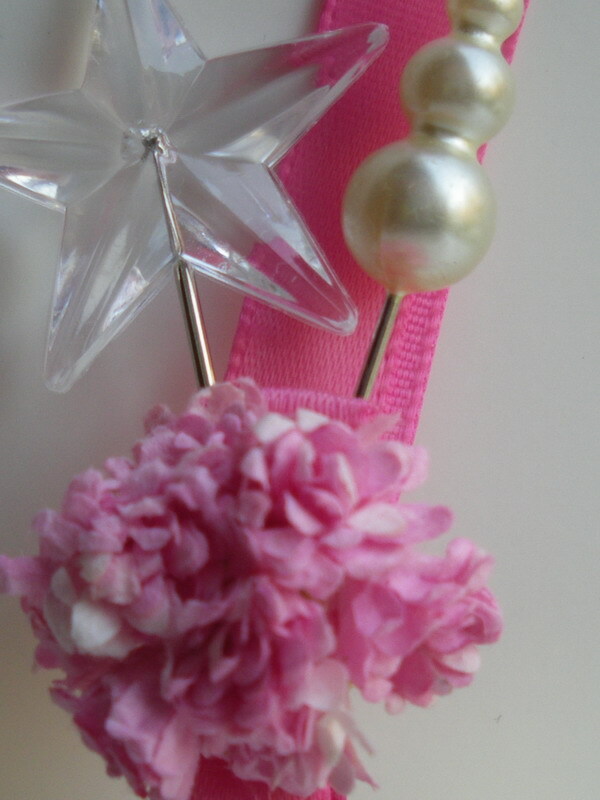 I have three layers at the bottom of my tag: lace, ribbon and pearls. All three birds are wood, and adhered with mounting tape. Thanks for stopping by! 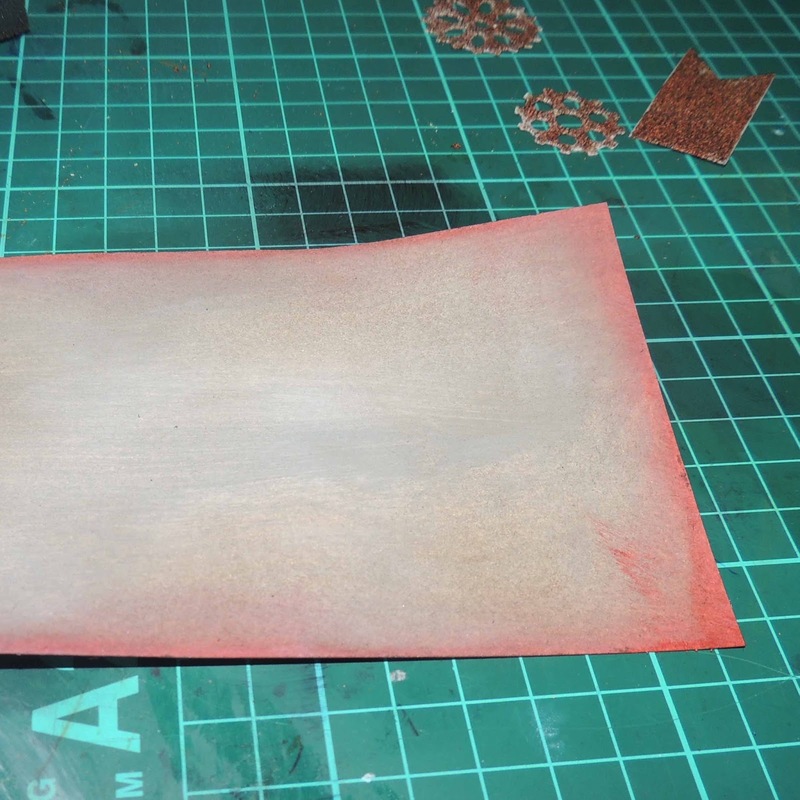 I hope you try out some suede paper on your next project! One thing I seem to have amassed this year is tonnes of magazines, ones I can't bear to throw out because I love the ideas in them. Thats why I decided to create a storage box to put them all in. I began mine by finding an appropriate sized cardboard box that I cut to the right size then covered with patterned papers. Along the front I added a strip of lace and ribbon, then I added a hinge to each of the front edges since I didn't wrap the ribbon all the way around the box and I wanted to hide the edges. On the front I added various die cit frames that I created and inked. At the very centre of these I placed a stamped panel that featured the awesome stamped image "Paris on the Mind" stamped over the top of the "French Newsprint" stamp. 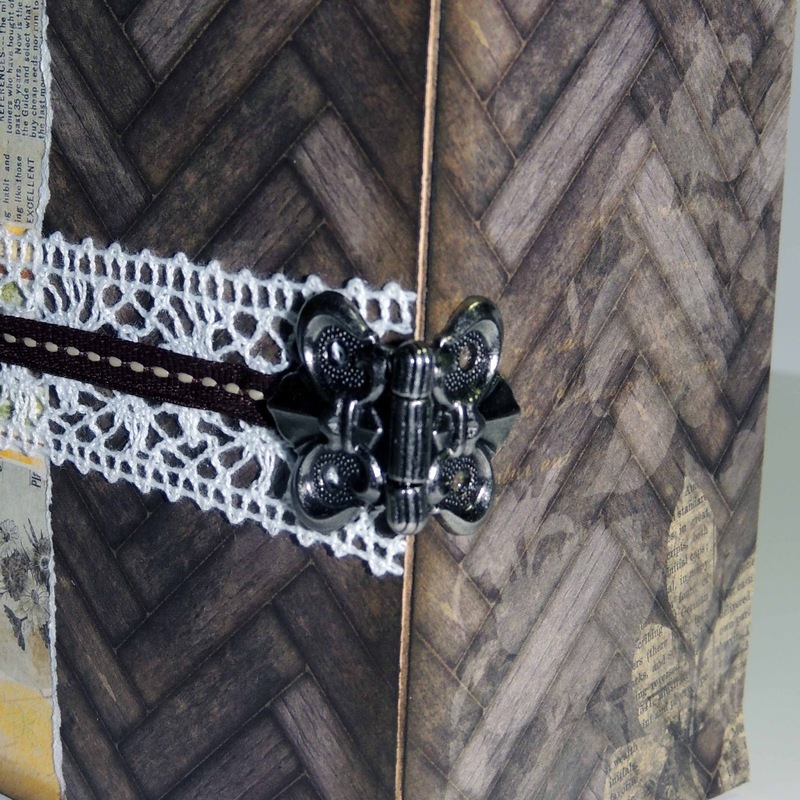 To finish off my box I added a few Ideology embellishments as seen in the photo above. 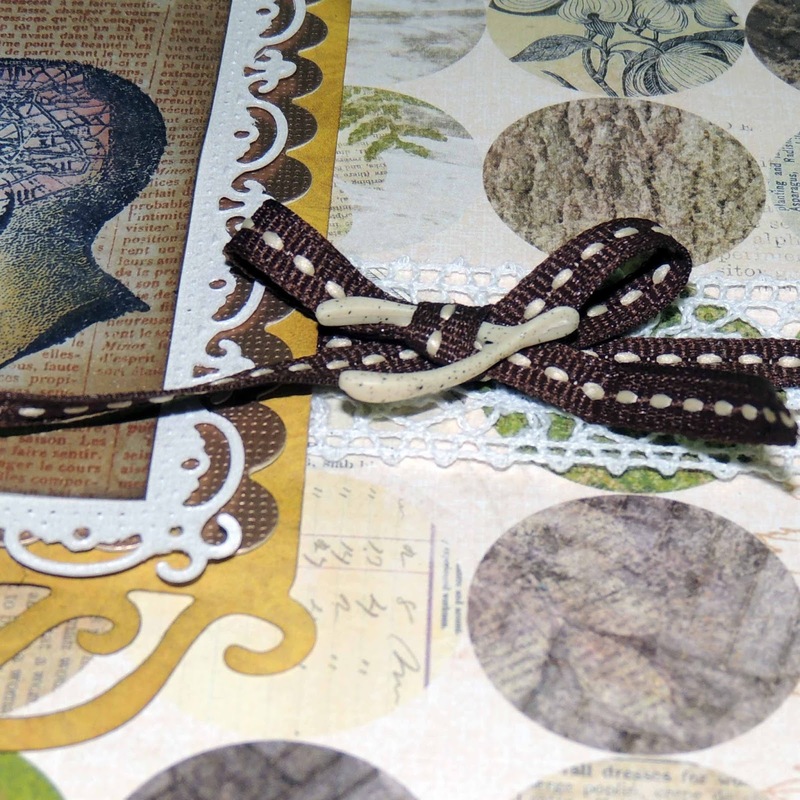 Finally, I added a ribbon bow to the right side of this panel with a wishbone added to the centre of this. I started with a 6 1/2" x 5" card base (I used white and stained it as I went along, but you could start with any type of card base you would like). Next I cut a 4 1/2"x 5 1/2" mat from My Minds Eye Life Stories paper of my choice. 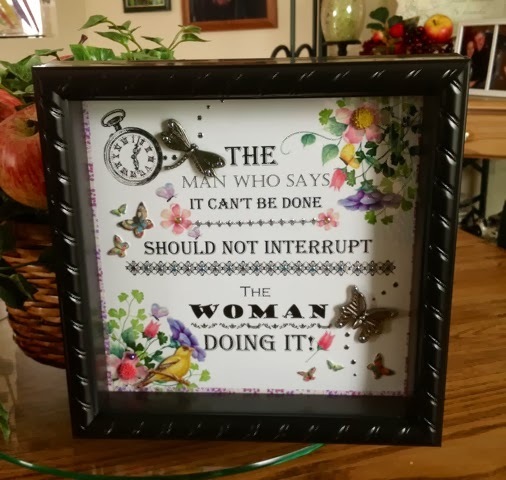 I ran that piece of matting through my embossing machine (mine is a Craftwell eBosser) using the Tim Holtz embossing folder "Gears". 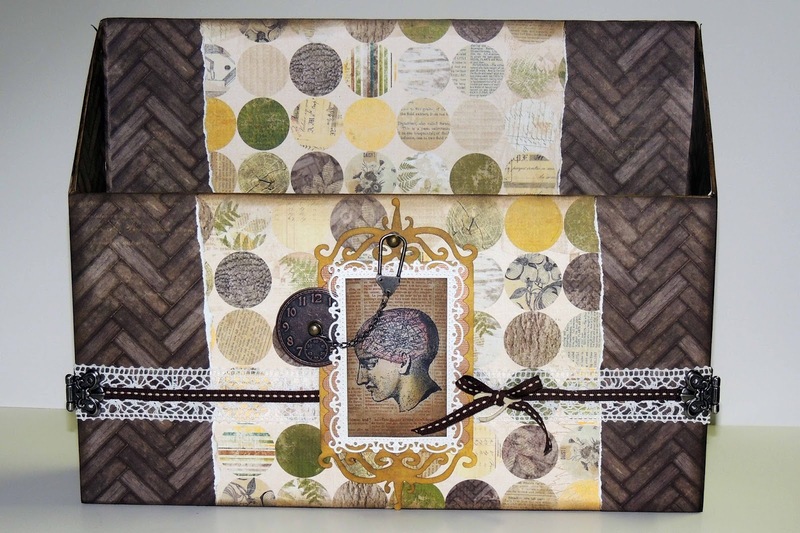 Then I distressed with the Tim Holtz Vintage Photo Distress Stain. I adhered this mat to the card base and framed it with American Craft White Glitter Tape. I created my own tag using a blank white tag from Frantic Stamper, stained it, and typed "Gear Up For Success". 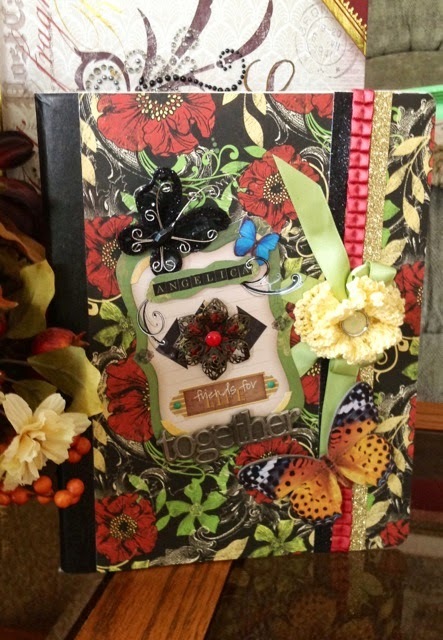 I added a few Tim Holtz Chit Chat Stickers, then I made another background tag, slightly larger for matting purposes, adhered the two together and placed stitching all around the edges. I adhered it to the card front. Using my die cut machine, I cut the gears out of Shimmer Sheetz, then placed various brads in the centers and mounted with dimensional dots for depth. 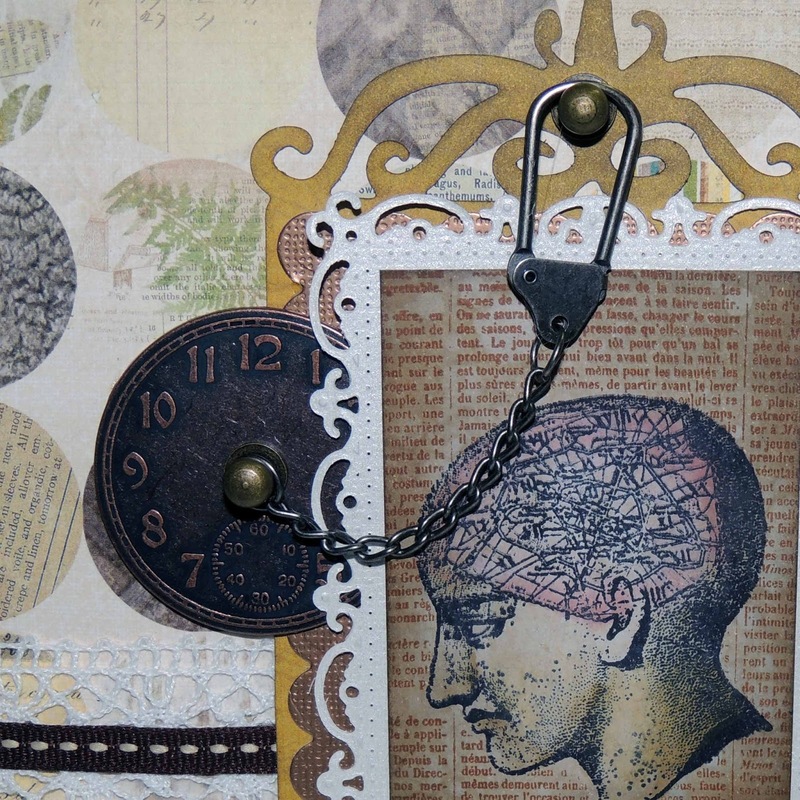 I adhered Dazzle "Turquoise/Silver" dots on some of the gears and used some Tim Holtz Metal gears. The back of the card is distressed and the inside of the card has more Minds Eye Life Stories paper. The tag on the inside was created from the same paper. I used my Ranger Large Craft Mat to keep the mess to a minimum! Although that is half the fun, right? 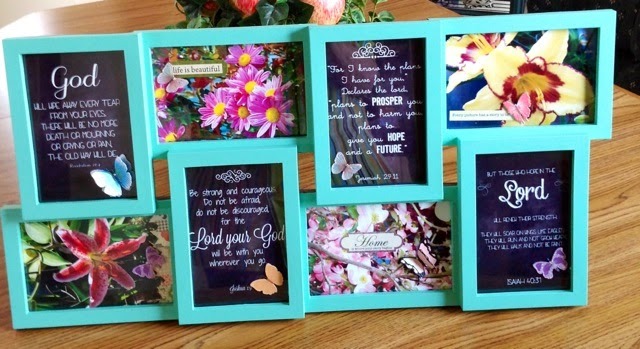 Decorate and always have a good time and make it your own! Graphic 45 shares an easy technique for creating a very dimensional rolled rose flower. The video is a little long, but we think it is worth watching. 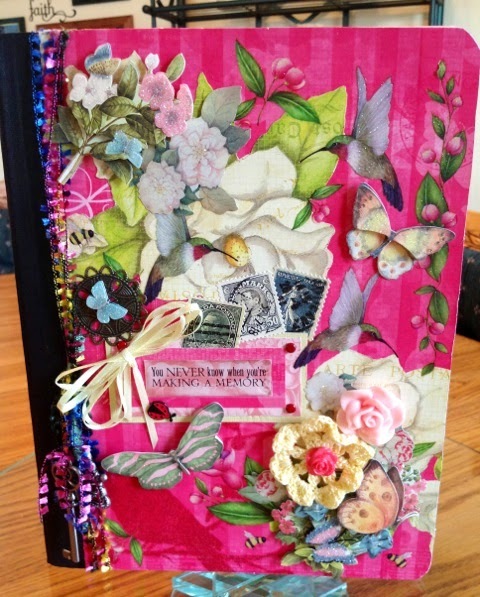 I really like mini scrapbooks and brag books. 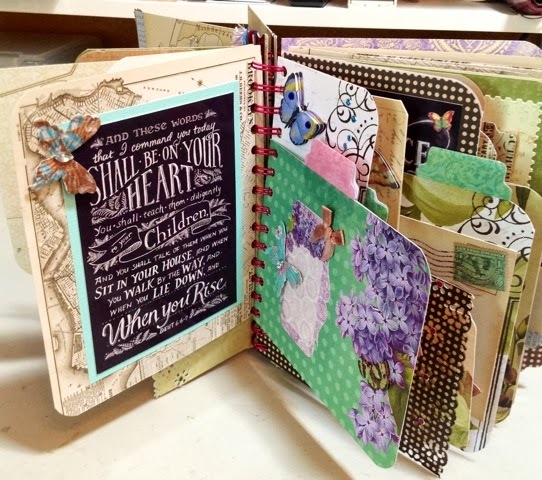 I like the smaller size because I can complete the pages a little faster and because I love to use smaller sized pictures. 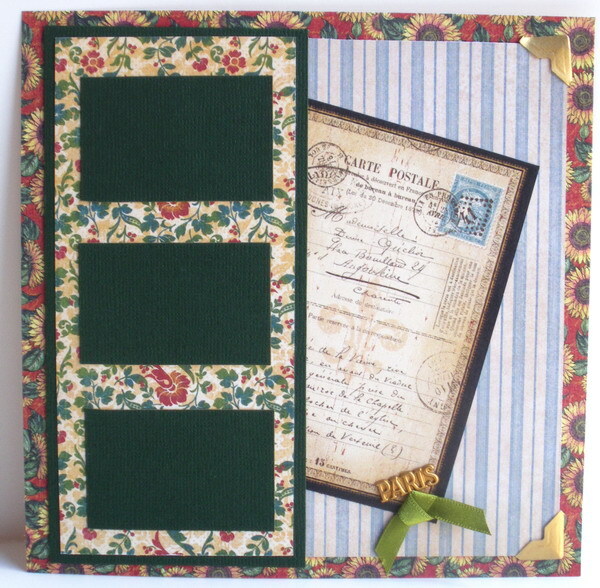 For the mini page above, I started with the 6 x 6 daisy sheet from the French Country Collection by Graphic 45. I added some dark green card stock at my mat where my pictures will be. Don't you love the blue stripe paper? I thought it was just perfect for this page. 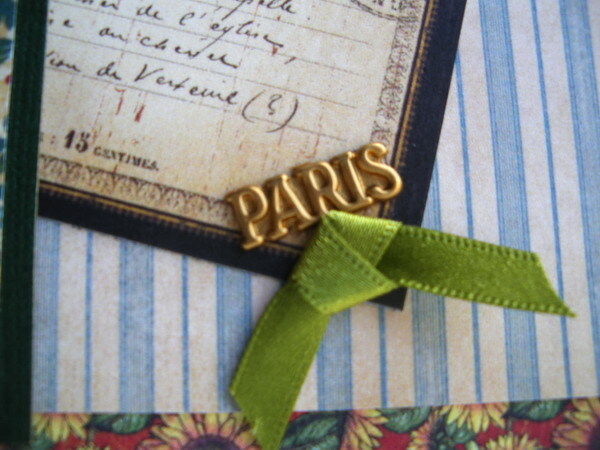 I added a couple of gold photo corners, my ribbon and a Paris brass charm I had. The gold photo corners are already adhesive-backed which was nice. There are several different colors which I like. The "Carte Postale" is a piece that I cut from one of the other papers from the collection. I hope you enjoy my page! While I will be sharing the cards that use these trees in the near future, I thought I would give a preview and share the two very different looks I got from this one tree die. I cut both trees from white card stock using the new Leafless Tree die from Frantic Stamper. After cutting them, I used the eyes and mouth dies that came with the tree to cut a face in one of the trees. I coated a small scrap of black card-stock with glow-in-the-dark glitter glue, and glued it in place behind the tree's face. I colored both of the trees using Copic markers. 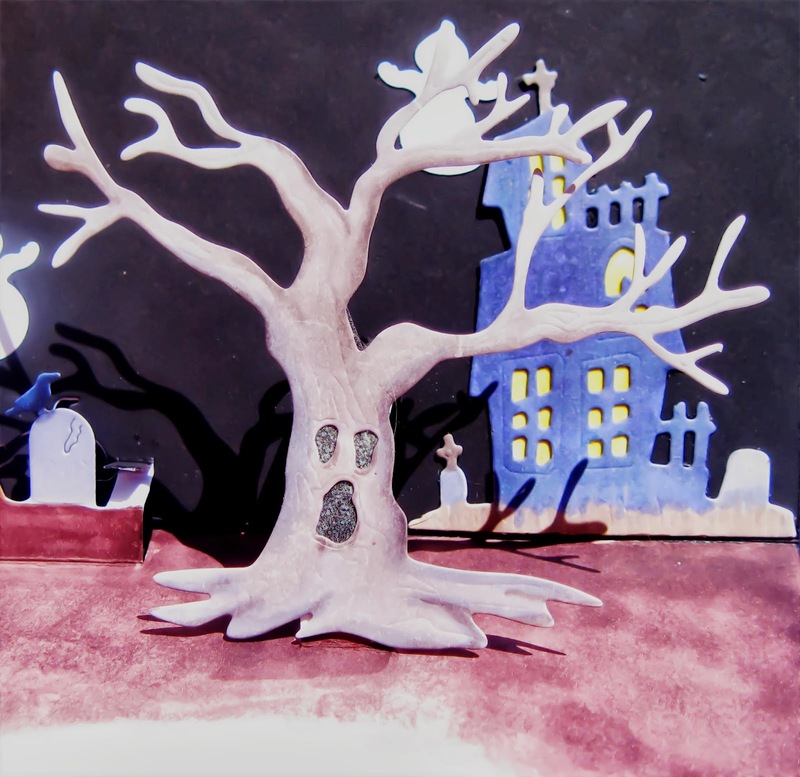 I chose warm and cool grays for the Halloween tree and warm browns for the other. I carefully blended the colors to give each tree shape and shadows, but the embossed lines from the die helped to give the trees texture. 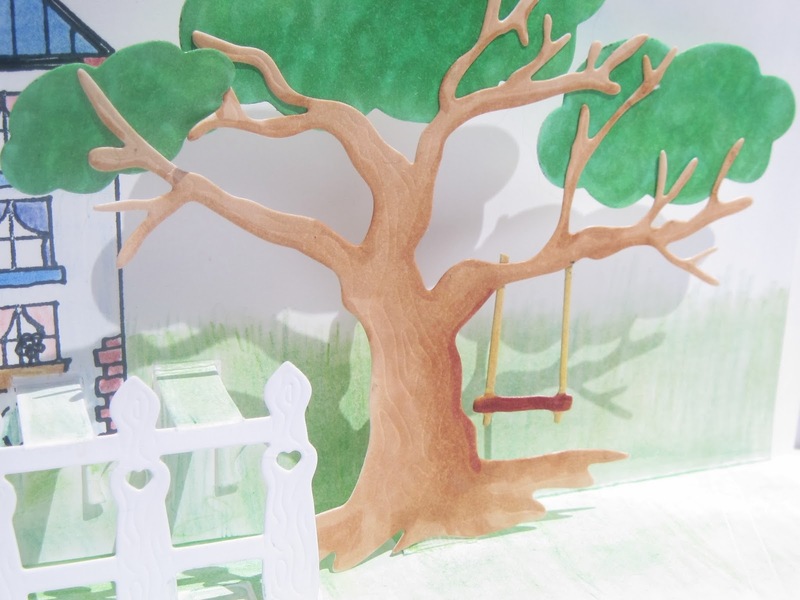 For the warm summer tree, I first added a swing from the Leafless Tree set, then I cut three cloud shapes using My Favorite Things Die-namic Cloud Trio dies and colored them with various shades of green, and attached them behind the tree tops. The Leafless Tree die set is wonderfully versatile because of all the accessories that are included, but color can make a difference, too! I can't wait to share the rest of these two cards, which use more dies from the fabulous Frantic Stamper Precision Die line! When the new range of Frantic Stamper Precision dies were released, I was really excited about the potential things I could create with them. My ultimate favourites were the gears and this card is the immediate thought I had when I saw them! 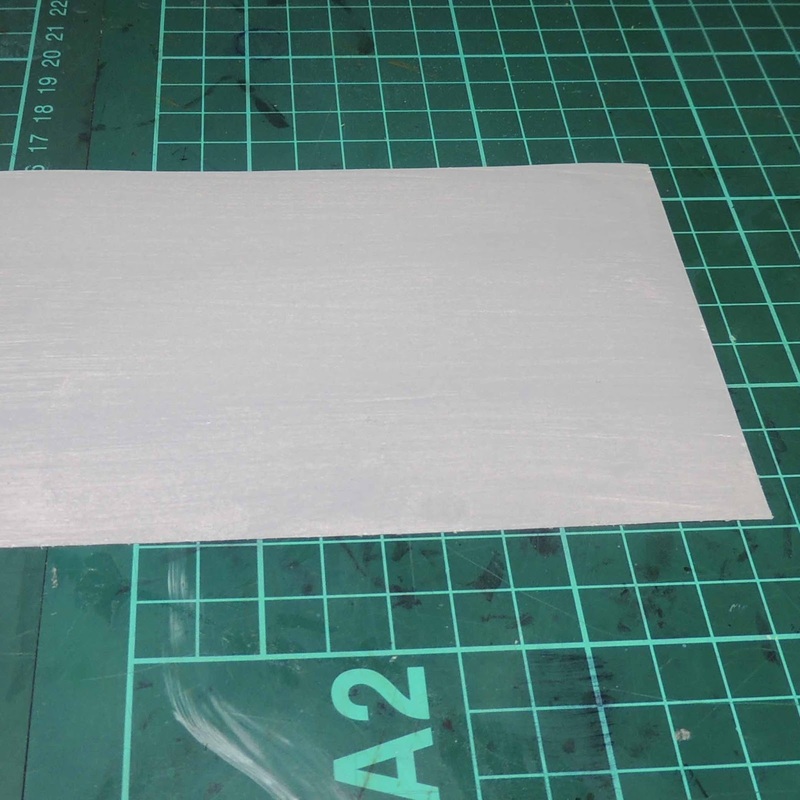 To create the super background I started with two pieces of white cardstock that I painted with a light coating of grey paint. This paint layer isn't vital since you could begin with a grey card but I really like the way the inks blend over the top of the paint. 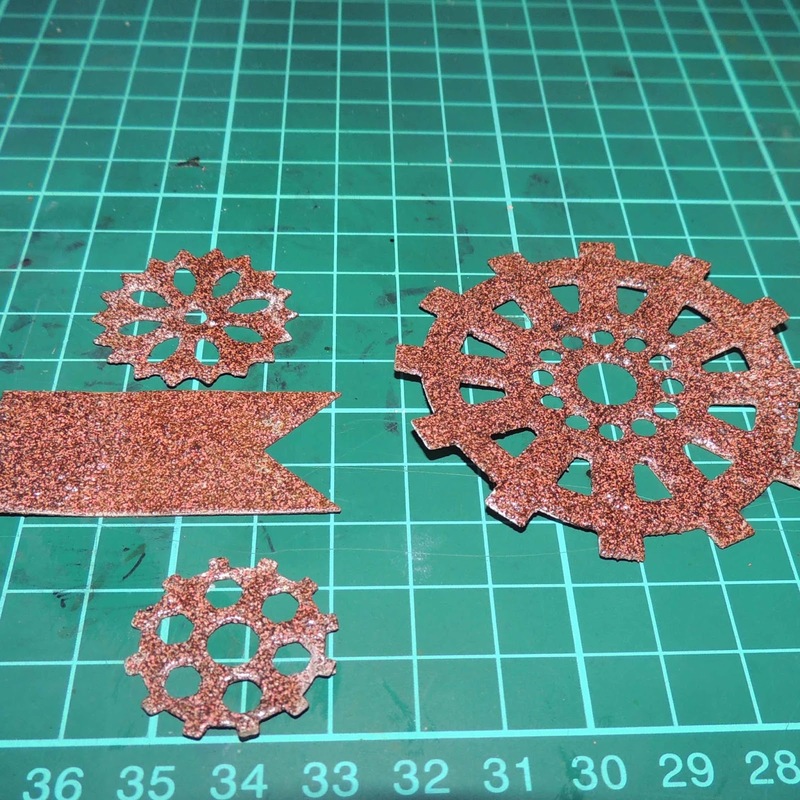 Once the paint is dry, die cut small gears from one of the grey sheets and the large gears collage from a scrap of paper. 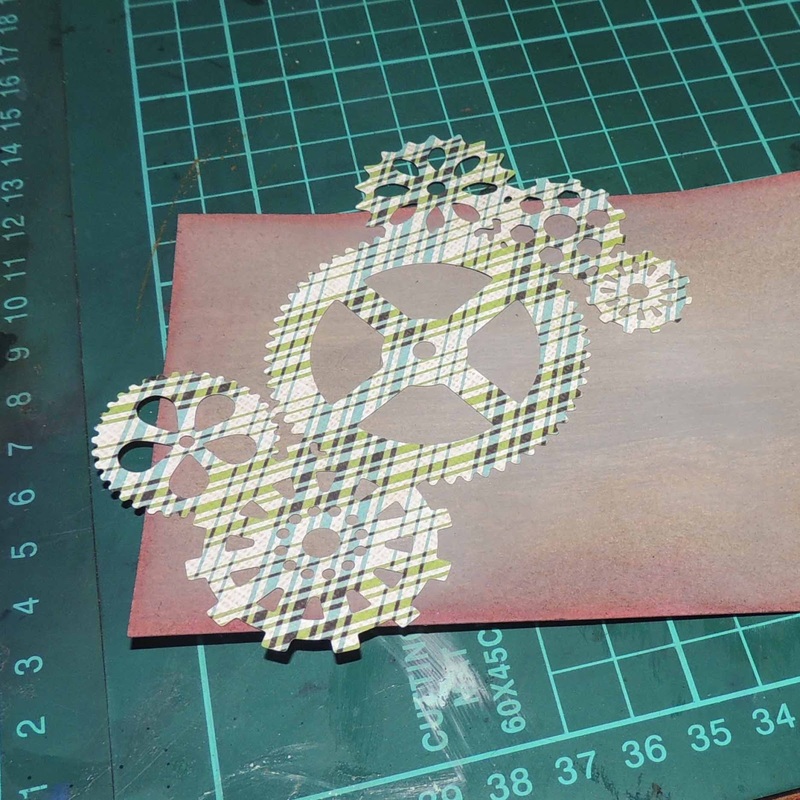 Using the embossing inkpad and the Rust Embossing powder, emboss each of the gears and the large flag. I double embossed each of mine, pressing the shapes into the embossing powder while the first layer was still hot then re-applying heat. Now to the other piece of grey painted card! 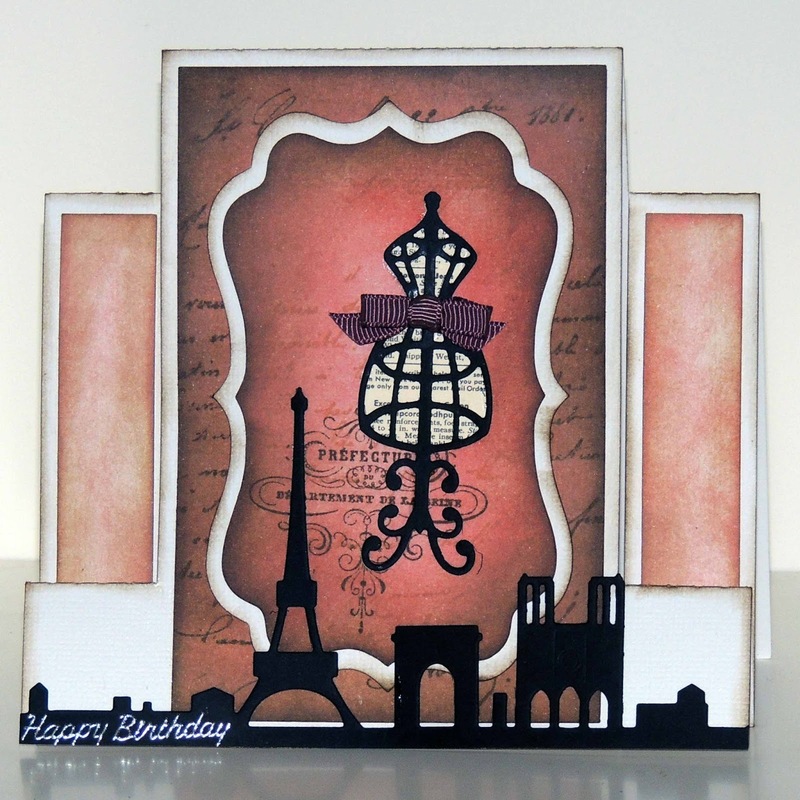 I used a blending tool and the Tea Dye ink to blend colour over the edges of the card. After this add blend a layer of the Barn Door over the edges as well to tint these! Remember earlier how I said to cut the Gears collage from a scrap of paper? Well, now I applied re-positionable adhesive to one side then stuck it down over the left side as seen in the photo. One of the corners on mine was bare but all I did was move my makeshift stencil to then add detail to this corner. 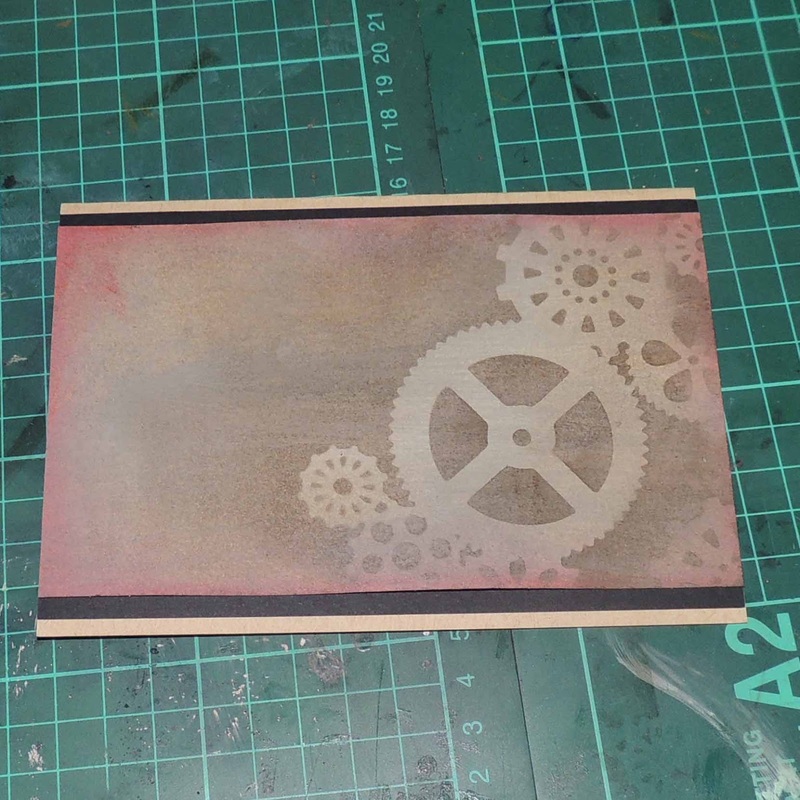 To colorise and add the Gears detail I used a blending tool and the Walnut Stain to blend and mix colour over the surface of the card. 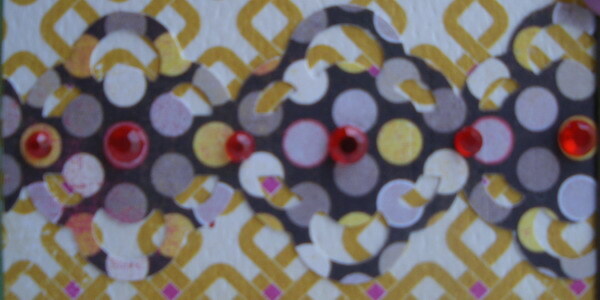 To finish off my card I added a black mat to each of the long sides then adhered it to the front of my card. 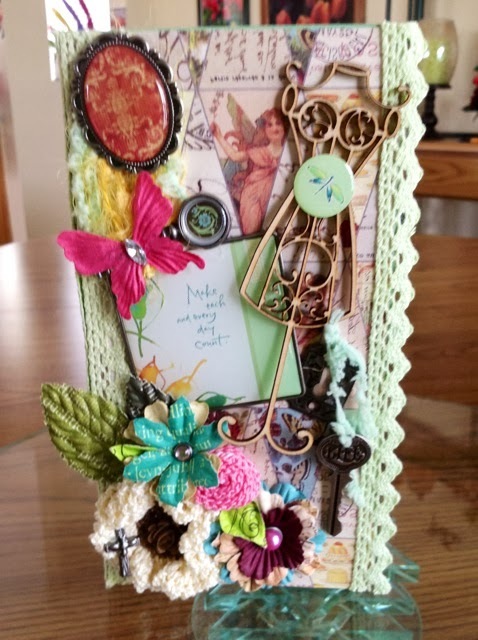 Finally, I adhered the gears and flags to the front then I finished off my card with a few Junkyard bits and pieces and a twist of black twine. 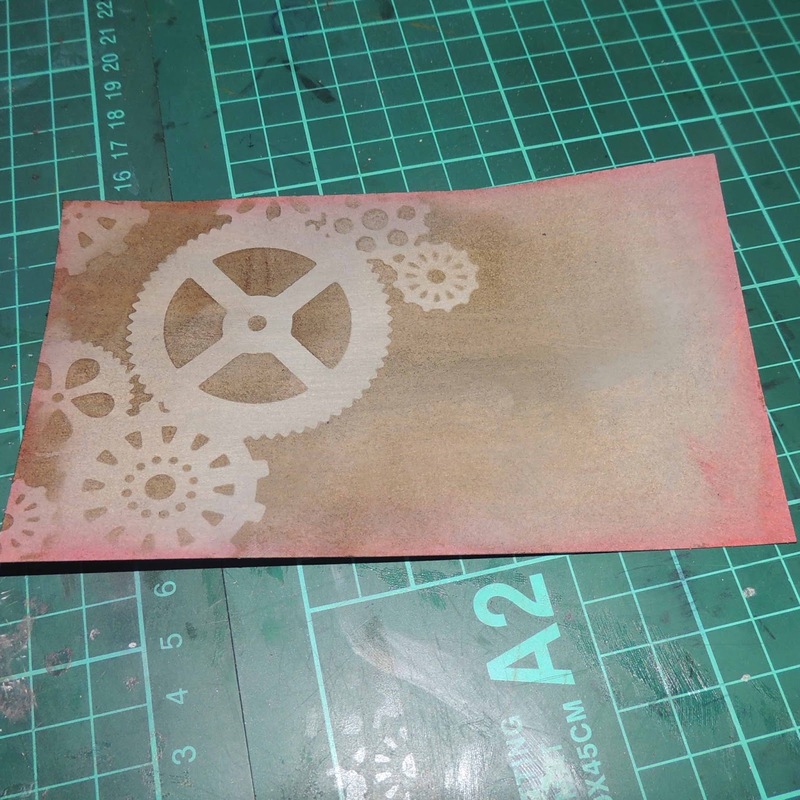 Ranger Distress ink - Embossing, Walnut Stain, Barn Door and Tea Dye. 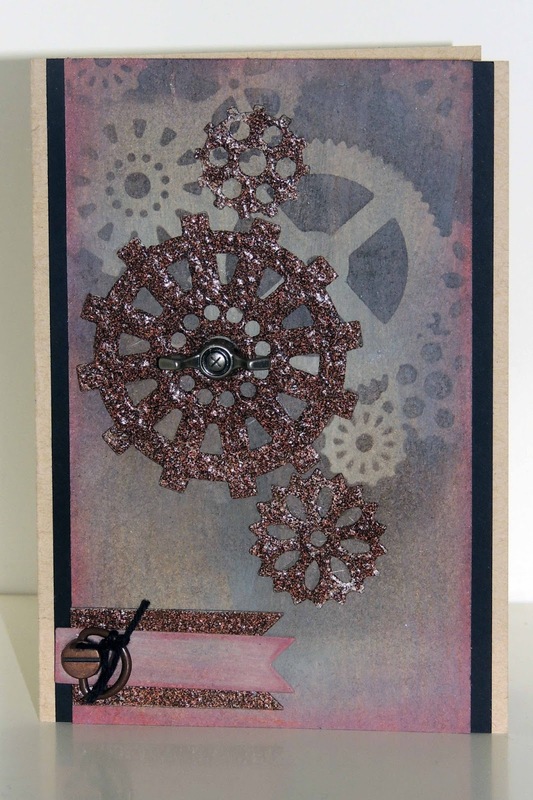 Frantic Stamper Precision Dies - Gears Collage, Gears and Flags Trio. 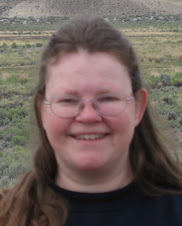 Frantic Stamper would like to introduce its newest design team member, Rozy Smith. 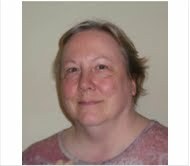 Rozy is a very talented lady and we think that you will enjoy her work very much! Here is a little about Rozy, in her own words, and then some samples of her work. I have been crafting since childhood. I remember learning to color and blend crayons from my Mother who passed away in 2001. She was my inspiration then and always will be! 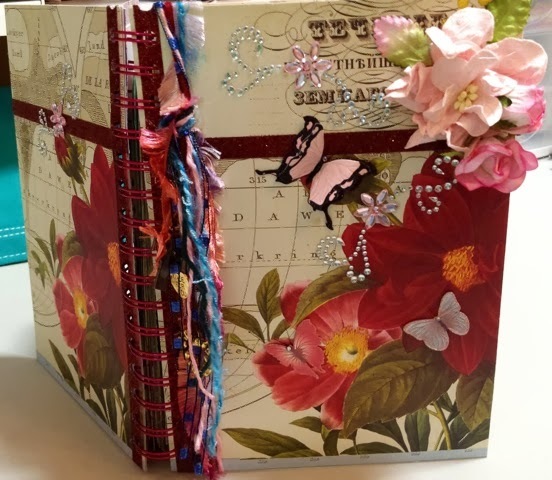 I started scrapbooking 15 years ago when my grandson Tyler and grand-daughter Brook were born. I wanted to leave something of value to them so they could remember their childhood. 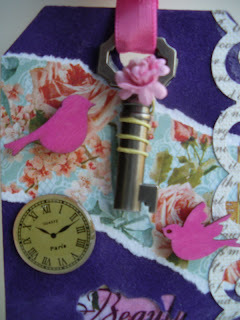 I love scrapbooking, card-making, stamping, home-decor items and my favorite has become Vintage altering. It amazes me how you can take a plain box and make a special creation. I lean toward lots of bling and major embellishments! There is an art to placement that really intrigues my creative side. I have been blessed to be married to Dave for 49 years. We have two daughters, a son, five grand-children and two great-grandchildren. I thank God every day for the blessings in my life. Dave had a major heart attack and five by-passes, 3 1/2 years ago. The journey has had many adversities, but through those adversities we continue to learn and be thankful for each day. We live in a senior community. I am 67 years old and Dave is 72. 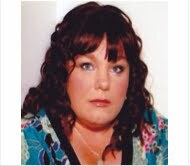 I have served on the Board of Directors, been President of the Board and Manager of the Home Owners Association. 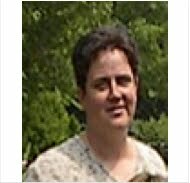 I worked for 15 years in the auto industry as a Cashier, Warranty Clerk, Accounts Payable Clerk, Accounts Receivable Clerk and Assistant Office Manager. I left full-time employment in 1998 to take care of my grandson Tyler. It has been an awesome gift to see him grow into a fine young man. I was born in Yuba City, CA but was raised in Medford Oregon. Have lived in the Rogue River Valley my whole life. It seems strange that my grandson will start high school this year in the same school I graduated from. We live just one block from where I lived as a child. Not much moving for me! 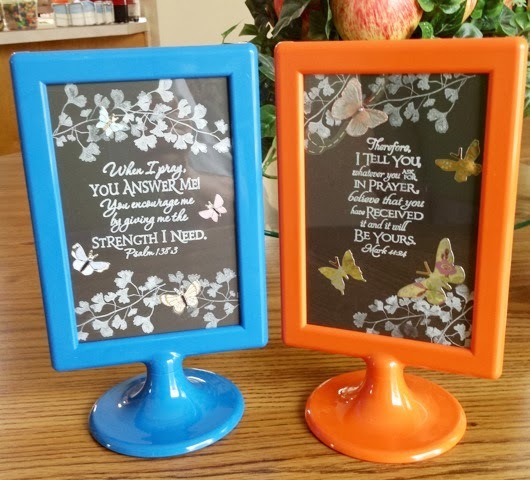 I'm excited about being on Frantic Stamper Design Team! I've purchased items from Fran for several years, she's an awesome individual. I hope once I get my feet settled I will do a good job for her and her company. Lots of computer things to learn but with the help of all the experienced ladies on the team I'm sure I'll be in good hands! Thank you all and I'm excited to be here! 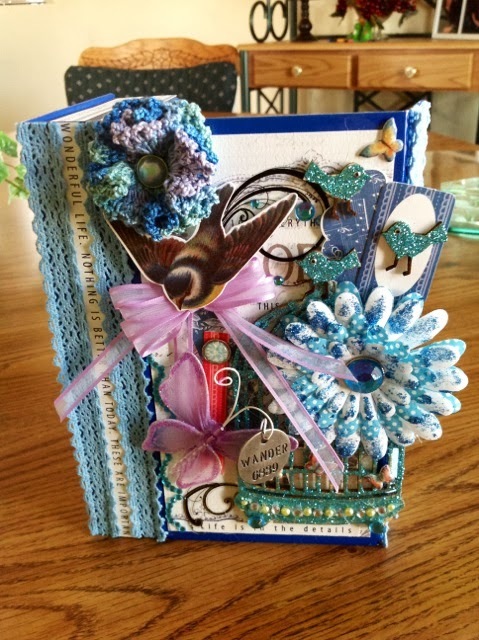 When you need a quick card you might want to look at your paper stash for a paper like Prima's Divine Collection's Envoy, which made making this card a breeze! Starting with a card base that was 5"x6.5", I simply glued on a panel I had cut from a corner of the paper, then added a saying I had die cut with Frantic Stamper's Accent Labels #1 dies, a dress (cut from the flip-side of the Envoy paper with a Memory Box die, Princess Dress.). and a dress form cut with Frantic Stamper's Vintage Dress Form dies. I stamped Lg Dress Form from Frantic Stamper on the inside of the card. 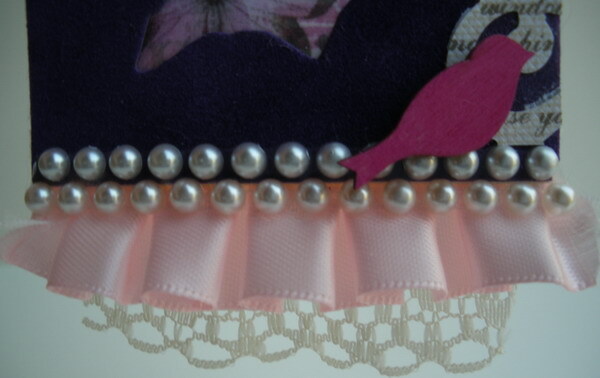 Lastly, I added a tiny accent pearl to the dress waist line. I hope you enjoyed my card and that it will help you to look at your paper stash a little differently; focus on the corners to see if one would make a perfect quick card front for your next card! 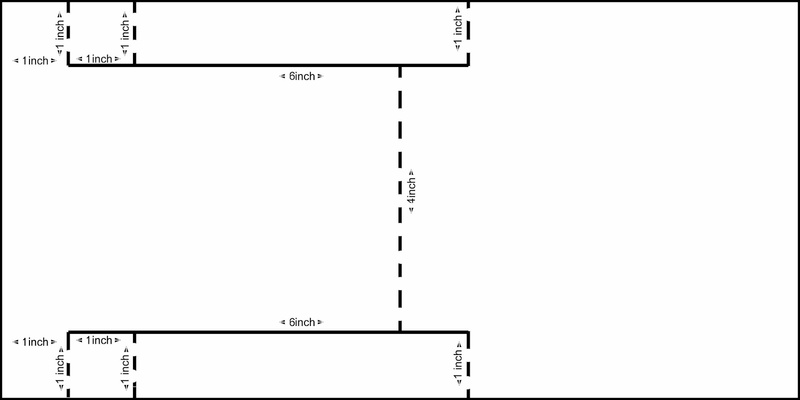 The card I created measured 6 inches by 12 inches and used the measurements supplied on the template. To decorate, I cut out pieces to cover the front and the two side sections from white card. With a blending tool I inked each piece with Tattered Rose then Tea Dye and finally Walnut Stain over the edges. On the centre main piece I stamped the Great Grandfather's Letter background stamp with Tea Dye. Using a die-cut machine I cut a shape to affix to the centre of the front and a mat for this. On the top layer of these I inked the surface in the same way as earlier then stamped the label stamp at the bottom left side using Walnut Stain. 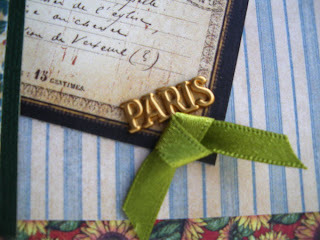 To finish, I cut a Vintage Dress Form from a scrap of patterned paper and black card and adhered this to the front section, just over the stamped label then the Paris-scape from black card and adhered it to the base edge of my card.